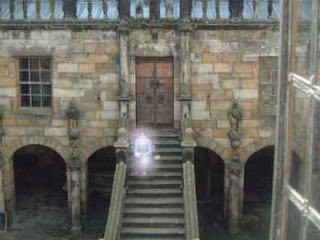 Chillingham - ghost on the staircase? Grinning skeletons, a radiant blue boy, tragic Lady Mary Grey and a crying baby. These are just four of the manifestations haunting Chillingham Castle in Northumberland, reputed to be THE most haunted castle in England. With a history dating back to the twelfth century, its walls could tell tales of many a bloody deed committed on its fortified premises. In 1298, Edward I (the 'Hammer of the Scots' was based here, as he prepared do battle with William Wallace ('Braveheart') who, far from being that nice Mel Gibson with the blue face, was in fact a mass murderer, burning the local women and children to death. Since then, it has been the site of many a battle and many unfortunate souls were tortured and murdered here in cruel and imaginative ways I will not go into here! 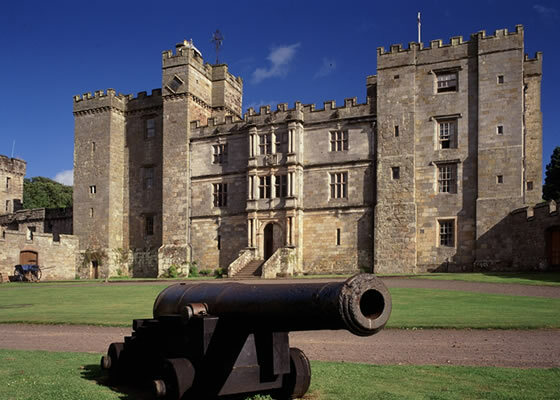 The castle has been owned by members of the Grey family since 1246 and the present owner - Sir Humphry Wakefield Bt.- has been renovating it for over thirty years. It is a curious place, much of it still derelict, and the atmosphere is one of quiet expectancy. But what of the ghosts? Poor Lady Mary Grey was deserted by her faithless husband, Ford, Lord Grey of Wark and Chillingham, during the reign of Charles II (17th century), she can still be heard wandering the corridors in an endless search for him. Her dress rustles as she passes. The radiant Blue Boy was frequently reported in one of the bedrooms. At the stroke of midnight, the agonising cries and moans of a child in pain were heard and, as these died down, a bright halo of light would form close to the old four poster bed. If anyone was sleeping there at the time, they would see a young boy, dressed in blue, surrounded by the light, approaching them. Curiously, in the wall of that room were found the bones of a young boy, along with some fragments of a dress. A blue dress. 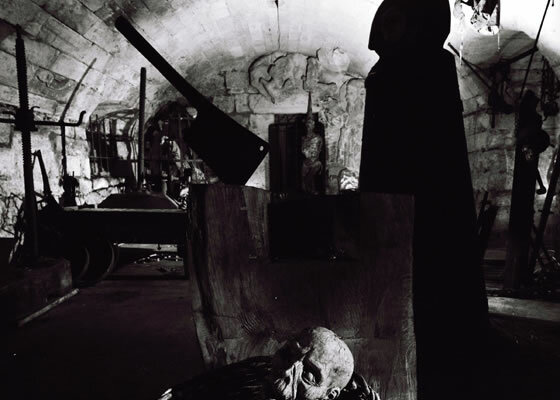 Lady Leonora Tankerville, who documented the castle's ghosts in 1925, recalled having strange experiences of her own, including a manifestation of a nun praying on the battlements, accompanied, a few paces behind, by two young men dressed in clothes from the time of King Henry VIII. She also experienced a visitation by the ghost of a young officer who, so far as she knew, was actually alive at that time. Only later did she discover that he had died at the very time she had seen him appear in her room. Lady Leonora was also responsible for the discovery of the skeletons of a man and a boy who had been walled up in her bedroom. Indeed, there seems to have been a fair amount of walling up of people in this castle! If you are brave enough, you can actually stay at the castle and many who have done so have reported strange events. Some have even left before morning, too scared to sleep! But if you do stay, think twice before taking the complimentary shower gel or shower cap home. In one of the rooms, letters and returned items are displayed (including a door knob removed 'by accident'). Reading these letters, you will see that the guests returned the items because no good came to them while they possessed them. 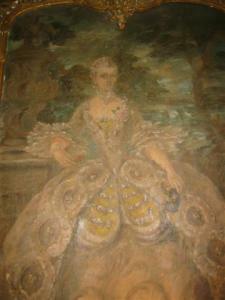 Above the display is a portrait of a woman, reputedly a witch, who is said to take a pretty dim view of such thieves. She has a tendency to haunt them... and not in a friendly way. It would certainly be an experience, Sue! As for stealing anything. There is such a motley array of stuff in that collection of returned items. My favourite is undoubtedly the ornate, heavy doorknob 'accidentally' taken. The thing must weigh a ton and have needed considerable intervention by a screwdriver. Accidentally, of course! Cool post. It sounds a fascinating place. I love the idea of accidentally removing a doorknob. There must be a story behind that somewhere.